Have a discount code? Click here to use it. The truth about getting fit and healthy, and how to avoid the BS. At 34 years old, I’m the fittest, strongest, and healthiest I’ve ever been. But it didn’t happen overnight – it took years of wading through crap to get on the right path. The good news for you is that all you need to do is buy this book! It contains everything I’ve learned about living your healthiest, fittest life. 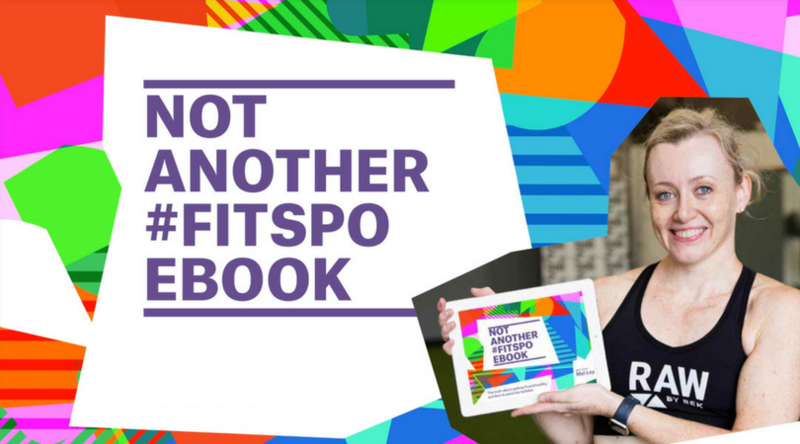 A word of warning though: If you’re looking for a book featuring powerful mantras, delicate and comforting ideas, and a quick fix to getting fit and healthy, you’ve come to the wrong place. I’m just warning you now – there will be swearing, wine will be mentioned multiple times, and there may be veiled threats of violence (allegedly). I will tell you what actually works and what is actually BS. This book is for the women and men who don’t know where to start in a world where there is so much crap about health and wellbeing being thrown in your faces. It’s for those who have started … and started again … and started again because whatever you’ve tried hasn’t worked or you haven’t been able to stick to it. It’s for those who are already on the journey but are at risk of falling off the wagon, have plateaued, or know they’re not going as well as they could be. If you’re keen for a simple, BS-free guide to health and fitness, then this is for you! Welcome to the final diet roadtest! Diet Roadtest #4: The results are in! Where are my gains at? Diet Roadtest #4 – it’s time to go vegan!